The bottom of the measuring cup shows what I believe is an Anchor Hocking emblem. I did some research and found that Anchor Hocking was one of the oldest operating glass manufacturers in the United States. 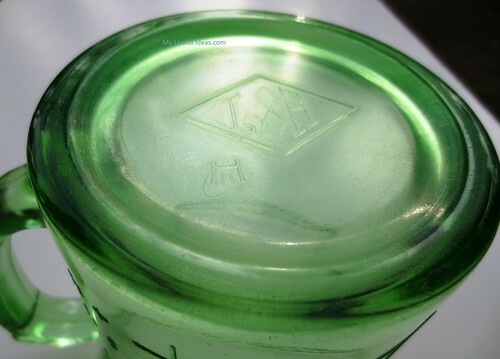 The company was one of the major producers of green depression glass. In 1987, the Newell Company acquired the Anchor Hocking Corporation. Just a little trivia about this cool green measuring cup of mine. I decided to start using and enjoy it rather than having it collect dust on a shelf. It puts a smile on my face every time I use it knowing the special history behind it. 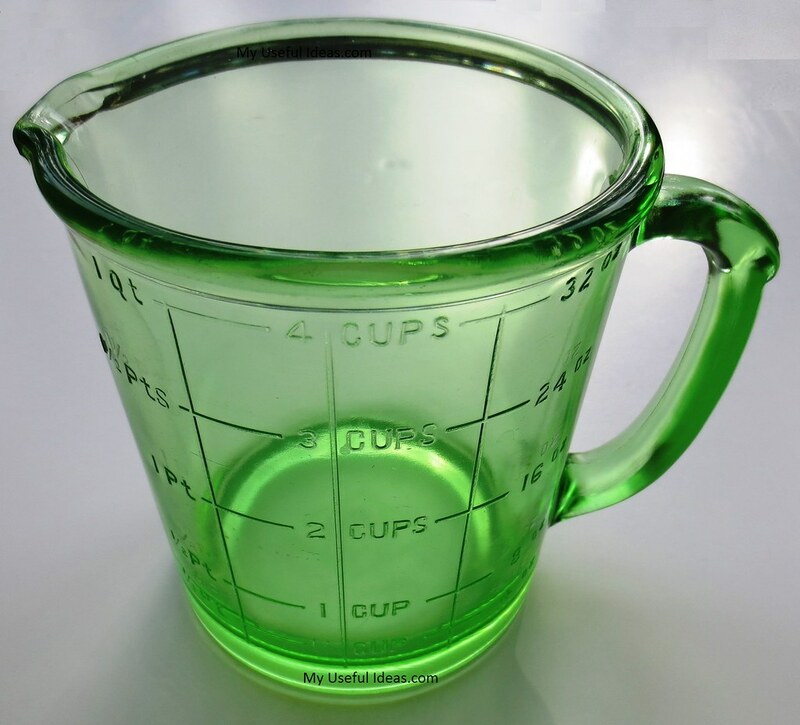 I think Grandma would be happy and proud to know that I am enjoying her old special glass measuring cup.